Great location and food, on balance probably the best one in Kalamaki. nice setting, husband enjoyed his meal, found mine very bland, staff attentive at start, meal brought out by woman who had obviously had bad day couldn't even crack a smile but launched a few ships. then the waiting started and didnt stop, waited for everything, tables cleared, drinks, pudding menu & bill. fab food , fab settin great value for money if you visit this place you visit this place you will not be dissapointed . had the most gorgeous meal at this restaurant whilst holidaying in Kalamaki,stumbled across the restaurant at lunch after a trip to the beach and enjoyed it so much returned in the evening for a meal. We had Lamb kleftika,swordfish and beef stiffado,the ice cream and homemade cheescake where to die for.wish i had found this restaurant earlier in holiday . Visited Kalamaki 4 times, always return to Zepos. Unbeatable food and service, lovely setting, can't fault anything. We've eaten Lamb kleftiko, bekri meze, stuffed peppers, chicken souvlaki, swordfish and many other dishes here - all have been excellent. 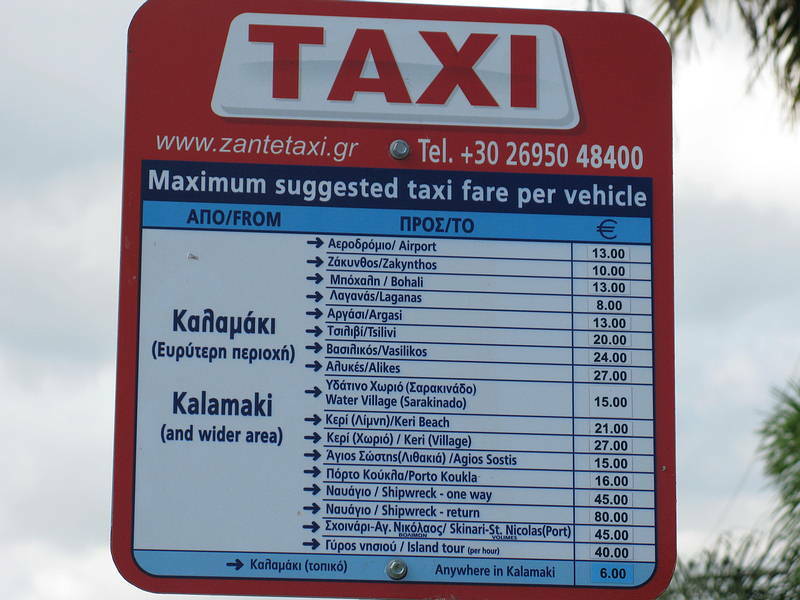 Going back May 2010 and won't hesitate to return to Zepos. Without doubt this was the best restaurant we went to this year. A great welcome from all the staff, lovely atmosphere and some excellent food. Mixed Souvlaki and Beef Stifado for me and stuffed tomatoes and spaghetti bolognese for the wife all washed down with superb wine. We will see you all again next Sept.
We found this restaurant on our second night, and found it to be excellent. So much so, we came back a further two times. Lovely setting, very nice staff, a really relaxed feel to the place. Food was excellent, and we had our most enjoyable meals here. We would highly recommend it. We have just come back from our holiday and had 3 evening meals at Zepos. By far the very best place to eat at . We had the Zakinthian Chicken ( fabulous) , the Bekhri Meze , the Salads and the Beef in the Pot . All absoultely delicious .. the right quantities of food .. very very good sevice , the waiters are charming , attentive and all in all we would highly recommend a visit . Very good value and very delicious food. Fantastic restaurant. Lovely setting, great food, fantastic staff. Fautless. They were also very child friendly and had a small play area for children at the back of the restaurant which helped us enjoy ourselves even more! We ate here on the last but one night of our holiday and will definately be visiting again next year. We didn't order starters but had delicious bread with olives, black olive dip and tomato and feta dip, followed by Zakynthian chicken wich was equally delicious. It came with greek roast potatoes and mediterranean vegetables. For dessert, I had the loveliest cheesecake I've ever tried. My daughter had the baklava with pistachio ice cream and my hubby had the greek yoghurt with honey and nuts. We all tried each others and all agreed that all were delicious! We had a litre of house red (the 1st half being complimentary), two large bottles of water and my daughter had apple juice. Telis our waiter was pleasant and attentive throughout and brought us little shots of lemon slush to cleanse our palates after the main course. All in all a brilliant meal for 39 euros - one of the cheapest and best quality meals of the holiday. 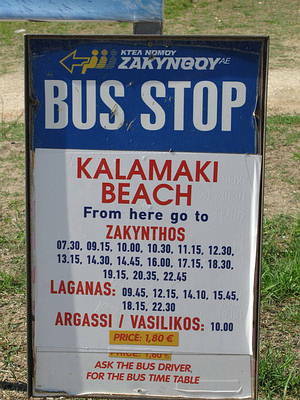 Just got back from a 2 week stay in Kalamaki and ate at here 3 times all of which were fantastic meals and experiences! Jimmy and all the staff were spot on! Cheeeeeeesecake is a must - send me your mums recipe Jimmy! Beautiful, quiet location and the food is always superb. Friendly staff and excellent service. Would recommend it to anyone. Will see you on sunday for some of your stunning food . Had a wonderful meal here, so did the mosiqutos. That was the down side of this location. Everyone in our party got severley bitten my the mozzies. The staff very friendly food great. Hi guys we are arriving on Friday for the 3rd time. No doubt we will be joining you once or twice whilst we are on holiday. We are bringing along some other members of our family, who I am sure will be delighted with your food as we are. See you soon. Can't wait. Spent 2 weeks in Kalamaki last Sept 2007 , had lots of meals in Zepos and can highly recommend this restaurant . Our favourite meal was beef stifado absolutely gorgeous . First time at this restaurant and have to say it was superb. The beef stifado was excellent and the ambience perfect. We will definitely be returning again next year.